Develop Your Outdoor Provisions or an Allotment Style Garden? 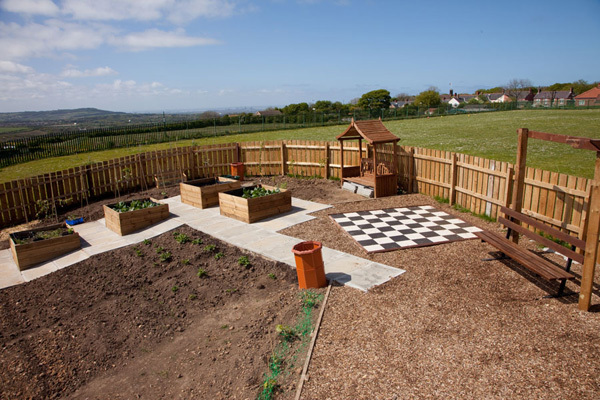 Dig It Projects can provide a design to completion package for all your Outdoor Provisions as well as installing an Allotment Garden at your School. Free consultation regarding your own requirements. Provide design layout and quotation. Construct Area / Garden area to design. Website support, Including your own web page*. Other Bespoke features and services. Raised beds can be installed onto hard surfaces, into small areas, up against building walls where space maybe restricted. Free page on the Dig It Projects website offering your own mini-site which can be updated by you at anytime with your own unique password and user id codes. Other project ideas include: SENSORY / FOREST SCHOOL / BUTTERFLY and BIRD / WILDFLOWER / NATURE / POND AREAS / MEMORIAL.